Renting a tent provides shade and weather security to any type of event! We have the largest variety of sizes and styles in Colorado. Our 20′ wide tents are great for all types of events – small weddings, backyard parties, festival booths, and much more. 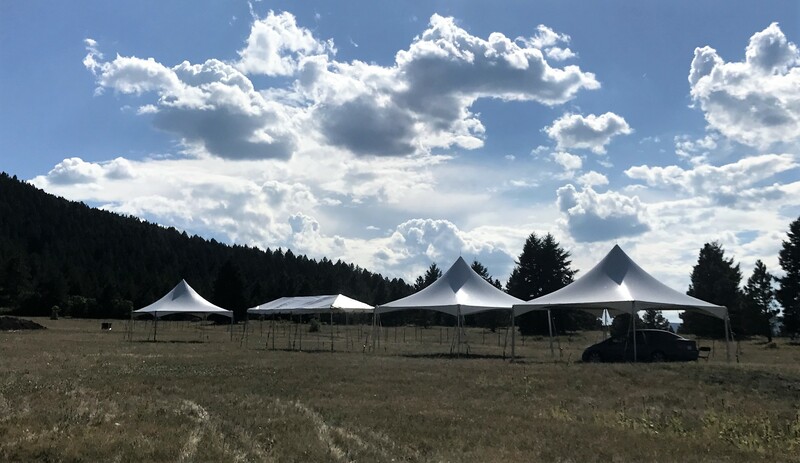 High Peak: Our newest style, these give you the elegant look of a large pole tent in a smaller size without the middle pole.